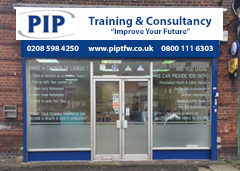 PIP’s core business is as a training provider and was first established in 2005. In 2008 the first PIP Professional Training and Services Academy was opened by Councillor Reverend Emmanuel Obafohan, the Mayor of Barking and Dagenham. Since then PIP has rapidly progressed, building partnerships and alliances with social enterprises, businesses and local authorities, to become one of the premier national training providers. We provide a unique training experience to all our learners, not only through our training service, but also through our high quality after-care, support, and administration service. 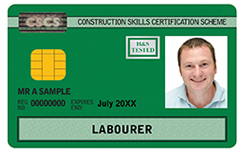 We are an accredited NEBOSH, IOSH, BIFM, CITB, CIEH, RSPH, & HABC training centre. Our trainers are all professionally qualified, with a wide range of experience, built up from working within a variety of sectors. For details of all our courses, click here. In addition to our extensive range of training courses, we also offer consultancy services in the Health & Safety and Food Safety sectors, including the implementation of HACCP and the completion of Fire Risk Assessments (FRA’s). Click here for details of the professional services we are able to offer. We also specialise in working with MOD service leavers, providing flexible training and support to help with a successful transition to civilian employment. For more details of our Service Leavers package, click here. PIP is an ambitious company, with a social conscience, and we are pleased to be making a contribution back to the local community. We recognise that we exist in an area of economic and social deprivation and we are motivated to help our community improve their skills, to develop a greater skill base and create more opportunities for people in the area. In partnership with Flexible Learning, PIP delivers education programmes to young people aged 14 to 16. By providing an alternative education environment, we prepare students for higher education and the world beyond. PIP is enthusiastic about building relationships and developing projects with other organisations that benefit the community. We aim to support people so that they fulfil their potential and help them look forward to a brighter future.